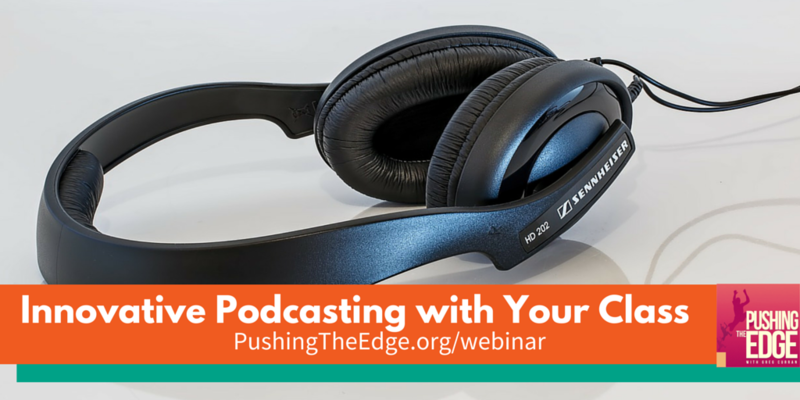 Give Podcasting A Go with Your Students. 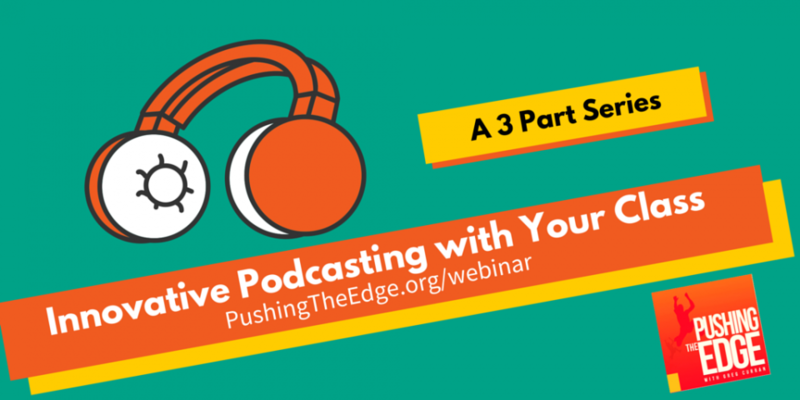 My 3 Part Series will get you Clear & Focused, with a Solid Action Plan for Innovative, Edgy Podcasting. 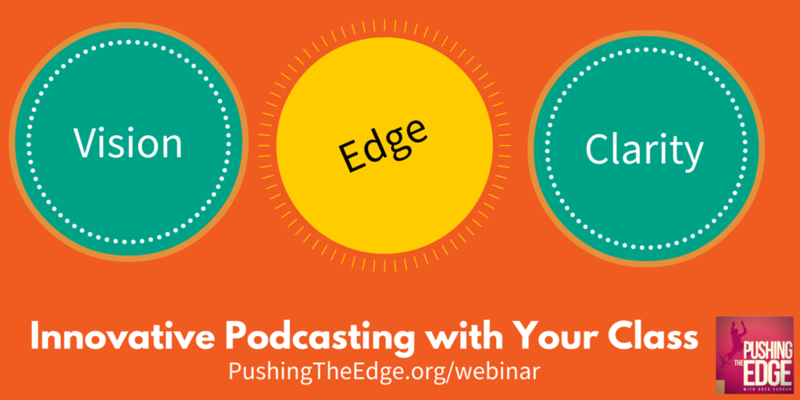 So you’ve heard about podcasting and you’d like to give it a go. And how do I get my students interested – creating something that’s got a bit of edge. Well if that sounds like you – Check out my 3 part Webinar Series below. I’ll help you get clear and focused with a solid plan and support system. In the first episode, we get clear about your podcasting idea. We identify the challenges you may face, and how you’ll navigate them. 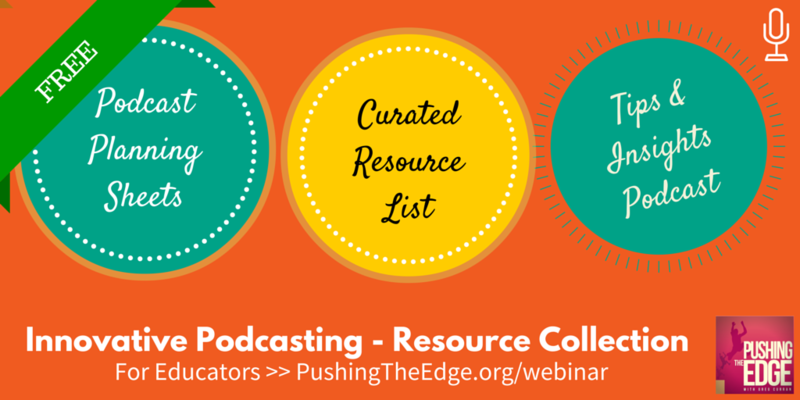 We also explore the possibilities for podcasting. 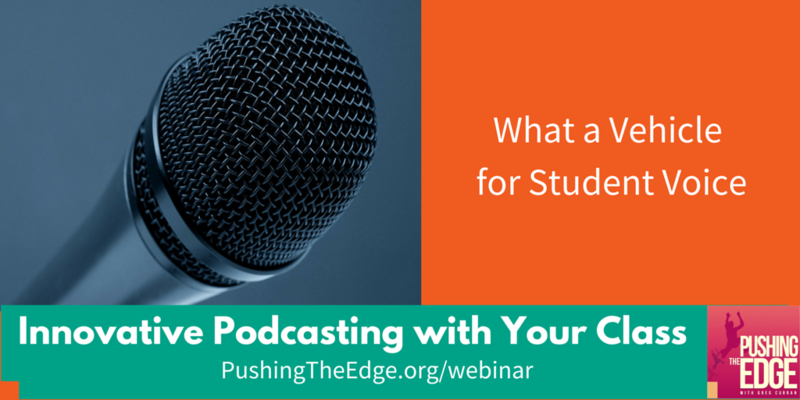 Finally, we identify one innovative podcasting idea you’ll pursue with your students. *To get the best quality video – make sure you click the settings cog and select HD – 720p. Click the i in the top-right hand corner of the video – for links mentioned within the video. 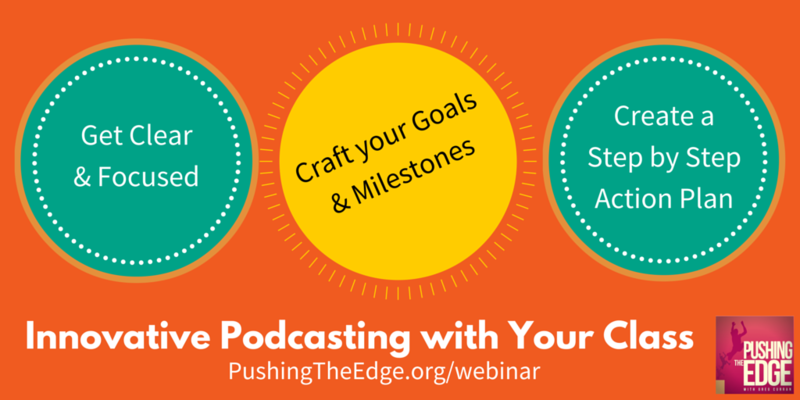 In this second episode, we craft your goals and milestones for podcasting. We also identify the resources that will help you along the way. Plus we choose an accountability buddy to keep you on track and support you – as you create your innovative podcast with your class. In the final episode, we conduct a Reality Check in relation to your goals and milestones for podcasting. Then we create your step by step Action Plan. 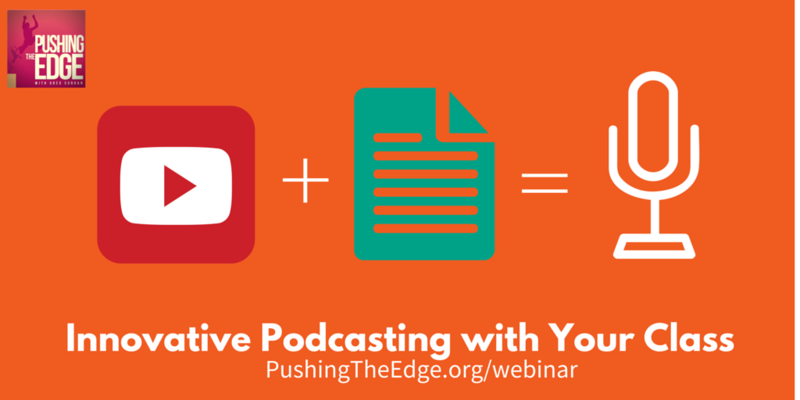 Finally, we nail it down so you’re all ready to get started podcasting with your class.